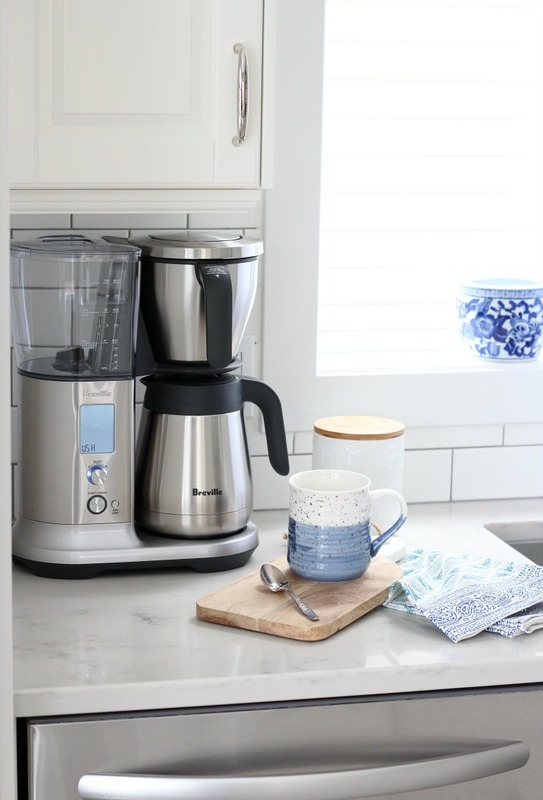 We’re loving the look and function of our new coffee maker and grinder from Breville. Connecting over coffee couldn’t be easier or more delicious! This post is sponsored by Breville Canada. As always, the photos and words are my own. I only partner with brands and products I personally use. Did you have a busy Easter weekend? I love celebrations (it was our son’s birthday as well), but I end up staying up much too late. Eventually, it catches up with me. What about you? I’m better off sticking to my regular routine. During the week, my husband gets up super early (around 4:30) and heads to the gym before going to the office. I know, crazy! I tend to sleep until a more reasonable hour. Still, I need my morning coffee. For a while now, I’ve taken the time each morning to heat the kettle and make a small pot of pour over coffee. Not my favourite thing to do first thing. I’m a bit impatient, I guess. Worth it? Yes. We’re all about freshly brewed coffee around here. Life’s too short to drink a not-so-good cup of coffee. I was searching for a better alternative. Notice anything different in our kitchen? 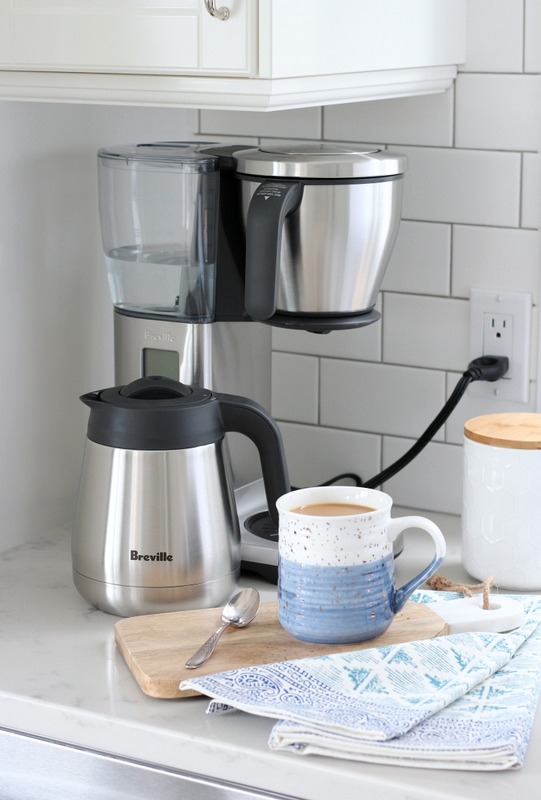 See our new Breville Precision Brewer™ Thermal coffee maker? It’s pretty hard not to, right? 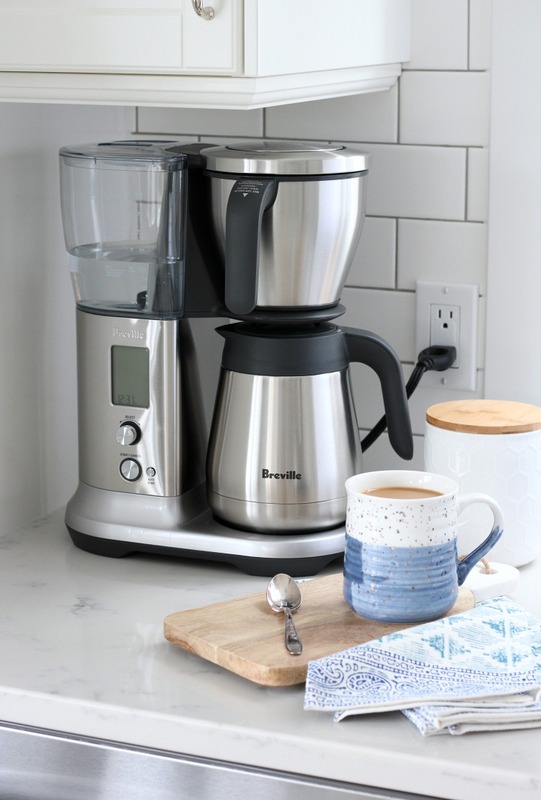 Of course, any coffee maker we’re going to add to our kitchen has to look good. But, more importantly, it has to brew a great tasting cup of coffee. This one combines both form and function. 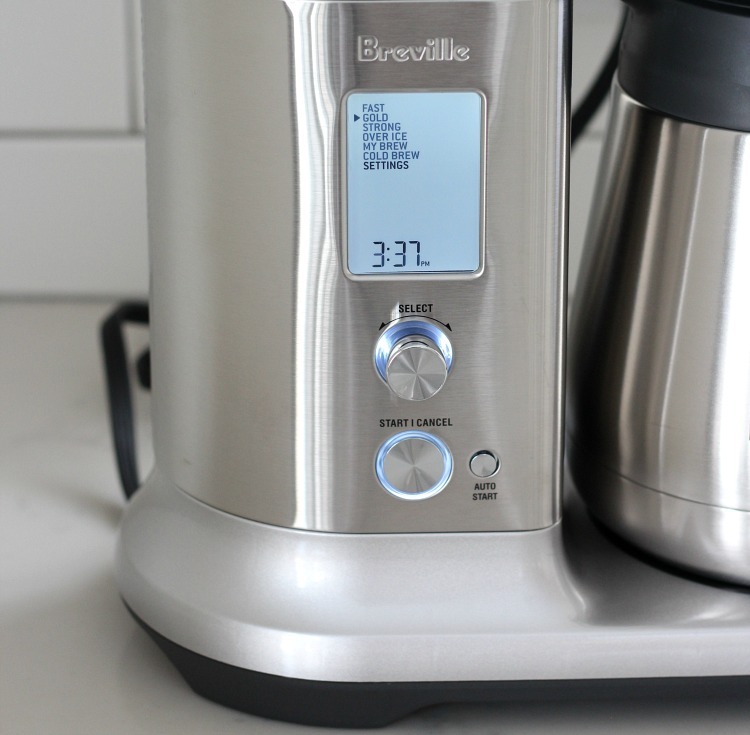 Breville seems to have that down pat with their sleek, brushed stainless steel designs. One of the features I’m enjoying most about our new coffee maker is being able to program it to autostart. I love waking up to the aroma of freshly brewed coffee first thing in the morning. Effortless and delicious! Weekend mornings are easier, too. My husband and I always share a cup of coffee first thing, catching up on work and life, and discussing our future plans and dreams. We’ve made it a priority for as long as I can remember (more than 20 years). It’s something we both look forward to. I guess you could say coffee is an important part of our lives. It’s one of the ways we stay connected. He’s the technical person in the family. It really didn’t surprise me when he started playing around with the various My Brew settings on the coffee maker, experimenting to eventually end up with his perfect cup (bold and rich). 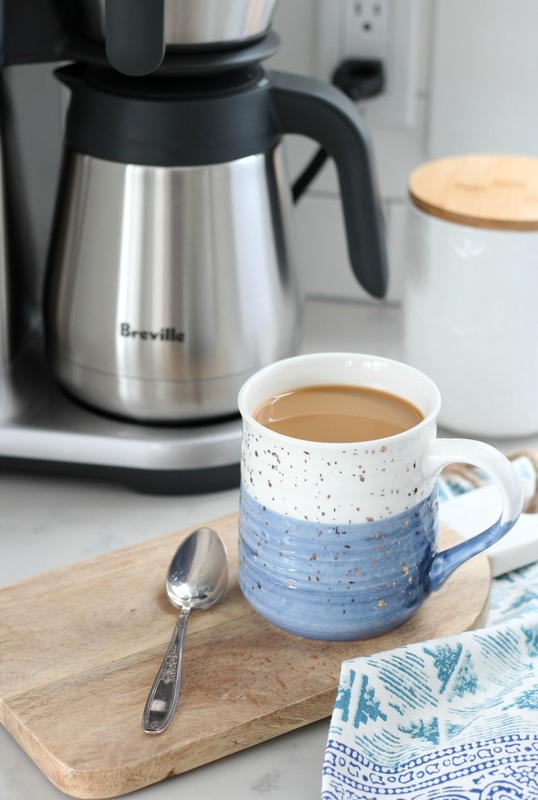 Breville makes it easy to customize the bloom time, temperature and flow rate to suit the particular type of coffee you’re using. Perfect for the coffee geek (if you happen to be one or live with one). I prefer the Gold setting, which automatically brews a precisely balanced gold cup (SCA certified) quality coffee with the touch of a button. I love that Breville has taken the guess work out for those of us who like things a bit more straightforward. 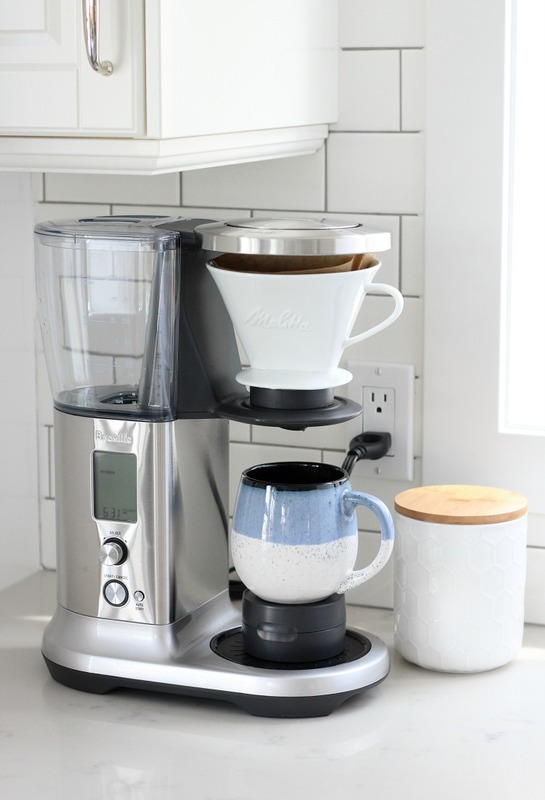 It’s the best drip coffee maker I’ve ever tried out. The insulated stainless steel carafe ensures the coffee is still hot on those days when I go back for more. Okay, that happens most of the time… I’m on my second cup as I write this post. We can even go back to our Pour Over coffee (only much easier version) if we want to using the adaptor kit. No more waiting for the tea kettle to boil, thankfully. Unless, of course, I’m making tea. I’m looking forward to using the Over Ice and Cold Brew functions once the weather warms up. Nothing better than iced coffee on a hot summer day, right? I’m so ready for this snow to be gone. It’s been a long, brutal winter! And, although I’m usually only making coffee for myself, I can’t wait to use the Fast setting to brew 12 cups for dinner parties. This machine is one of the quickest on the market. To ensure the best cup of coffee possible, we prefer grinding freshly roasted beans right before using. I love how easy The Dose Control™ Pro grinder is to operate. Turn the dials to select a grind setting based on your brewing method (espresso, drip, french press, etc. ), follow up with the quantity (cups or shots), and press start. There’s a handy chart to help walk you through. Being able to grind directly into the basket, filter, container or portafilter (when we’re making espresso) is so convenient. Hold directly under the grind outlet for mess-free results. Perfectly crafted coffee every time! Are you an avid coffee drinker? Is it all about the taste or is it also about taking time for yourself? Do you connect with others over coffee? I’d love for you to share what coffee means to you. Coffee is my go-to drink right after lunch. I look forward to that cup every day! I’m a morning person so don’t usually need it in the am. For me, coffee is that extra bit of delicious energy before continuing my day! Wow, This looks awesome. My wife and I have been in the market for a new coffee maker, and the auto start feature sure would be nice to have. (we have an old fashioned drip machine (Walmart brand hahaha)….but it gets the job done. Not the best tasting coffee mind you. I do miss freshly ground beans instead of pre-ground coffee. 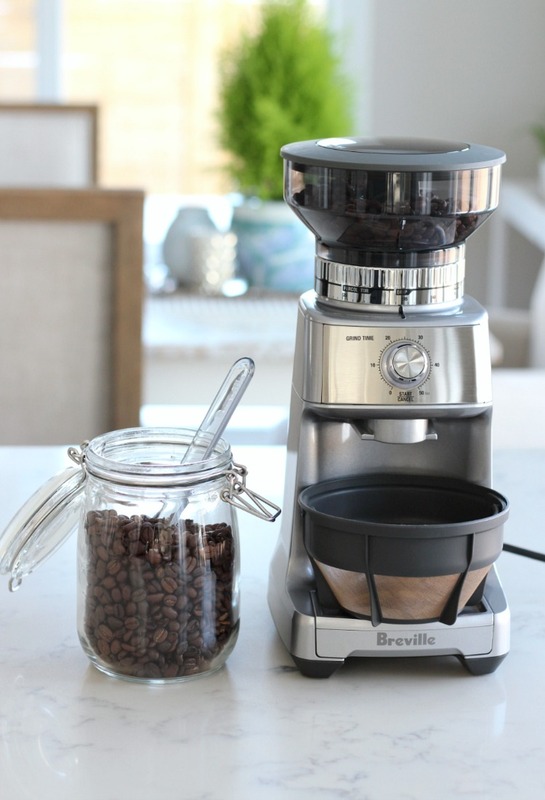 Definitely checking out the Breville brewer before we decide on which one to go for! OMG – I love this machine! I need one of them. It would look beautiful on my counter. :0 Also, I love that mug! So pretty. 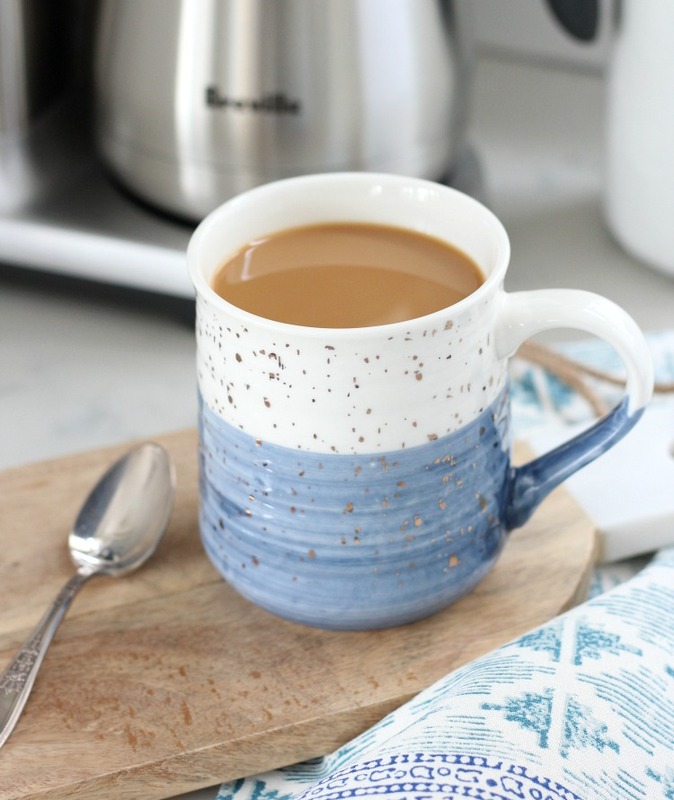 I love the mug you are showing in this post. I collect mugs and would love to know where you got that one.